School starts in just a few short weeks here and in some parts of the country that first bell has already rang. My oldest is starting Kindergarten and is beyond excited for her first day. Last year, she completed an early 5’s program because her birthday is so close to the deadline we opted to hold her back and enroll her in the early 5’s program because it was more play based and would help to prepare her for full time kindergarten. For parents faced with a lice infestation and Lord help them if they are super lice there is hope. Thankfully though, Nix® offers Nix® Ultra. It’s a safe and effective over-the-counter remedy that not only kills the traditional lice BUT kills super lice and their eggs. The school season is starting so that means the threat of lice spreading increases and the folks over at Nix® are launching the first ever data-driven lice tracker. This is perfect for parents, school nurses and administrations to report a lice outbreak in their areas and enables everyone to track if there is a lice problem in your area. The Nix® Lice Tracker uses IRI data from lice product sales as well as crowdsource data from school nurses and parents in addition to Google Trends data to track lice outbreaks. I’m sure I’ll be keeping an eye on this tool so that I can be aware of the possibilities of lice in our area. One thing they told us when a student in Pinky’s class had lice was for her to wear her hair up. While it can’t prevent you from getting lice it can help stop the little buggers from jumping on to your child’s hair, especially if they have long hair like Pinky does. Now, if I see that there is a lice problem in our area I’ll be sure to have her wear her hair up in a cute bun more often because I really, really, like REALLY don’t want to have to deal with lice. 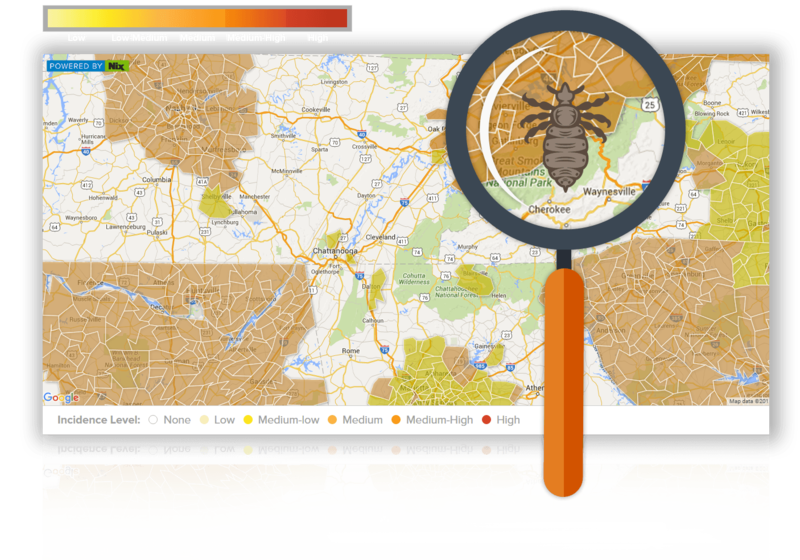 Visit www.nixlice.com to track lice infestations in your area and for more information on Nix® Ultra. Here’s to the new school year parents and students! May it be filled with lots of fun, learning, friendship and hopefully no lice! Have a safe year!